Kiana Dancie is a talented American comedienne, producer, radio personality, actress and current Co-Host of TV One’s national talk show, “Sister Circle.” Born in Cleveland, OH and raised in Atlanta GA, she receives praises for her ability to perform her craft for many different types of audiences without sacrificing the art of Comedy. Over her career, she has shared the stage with Academy Award-winning actress and comedienne Mo’Nique along with other comedians such as Akintunde, Rodney Perry, Sheryl Underwood, Katt Williams and many, many more. Having always been the life of the party, she shares several dramatic and colorful life experiences in her performance. These vibrant life experiences combined with her accounts of assisting her single mom with raising her little brother, results in a fascinating, fun and dynamic comedic journey. In 2008, she was featured on the hit TV ONE show “Who’s Got Jokes?” with Bill Bellamy. 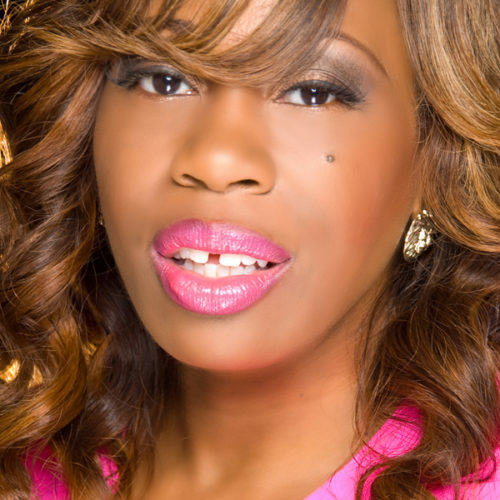 In 2014, she was featured on Bounce TV’s second season of “Off The Chain.” She has hosted the Sweet Auburn Music Festival, which is one of the largest musical festivals in the country for four consecutive years. In 2016, she made a national appearance on the second season of “Atlanta Plastics” on the Lifetime Television network. Kiana has completed multi-city tours including the 20-city “Off The Chain” tour with Rodney Perry and 30 cities with Kountry Wayne. She was the first female celebrity guest ringmaster for the Universoul Circus. In 2017, she was a recurring guest on “Atlanta & Company,” at NBC’s Atlanta local affiliate, 11 Alive. She is also the house MC for Atlanta Comedy Theater, the only upscale comedy club in the city. Assertiveness, confidence, faith, poise and never-ending ambition are a few of the characteristics that have led to her success as an entertainer and entrepreneur. She is the producer and host of the Komedy Kocktails comedy and radio show which boasts a sellout record to date. She will release her first novel Bye Bye Bags! Laughing To Lighten The Load!!! about healing in 2018. A proud graduate of Georgia Southern University (Marketing, 2001), Kiana currently resides in the Atlanta area.